"There's a uke revolution going on in Stockport! 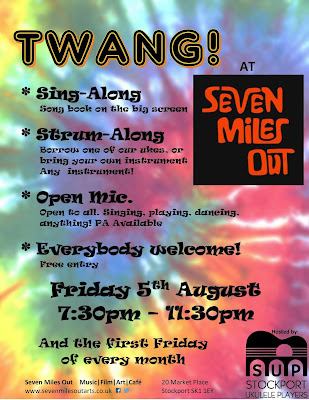 A massive thank you to everyone who came to Twang! last night hosted by the Stockport Ukulele Players. It was our biggest turnout yet and it was a blast! 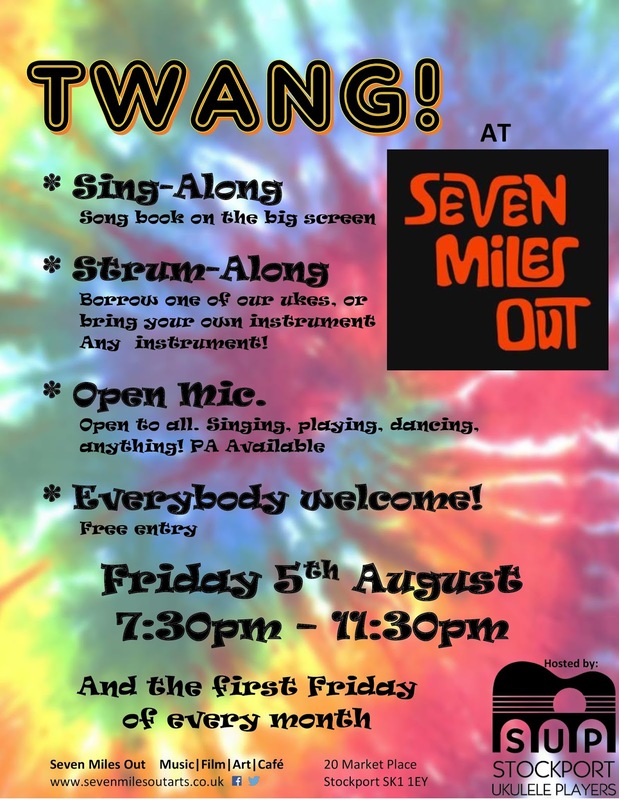 Thanks also to all the amazing performers who sang and played in the Open Mic and especially to lovely Sandra for her fantastic song about Seven Miles Out. We are truly humbled."